Finding, documenting, restoring, and selling rare and valuable Corvettes is one of Mackay's specialties. His business, Corvette Repair Inc., is considered the premier Corvette restoration facility in the country. However, it just wasn’t the Rebel L88 Corvette that he found and restored. When it comes to finding, repairing, and restoring the most important Corvettes ever built, one man stands apart from the rest in terms of the sheer volume and importance of the cars he’s been involved with. 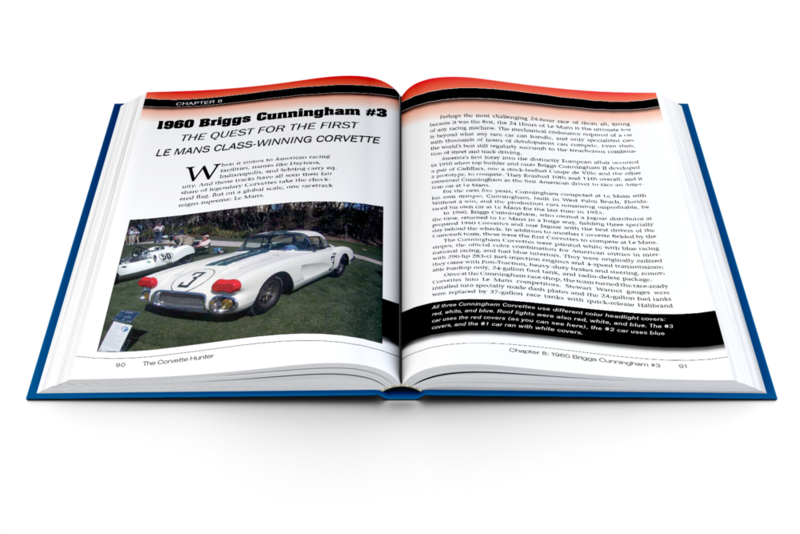 Kevin Mackay, along with his team of expert restorers at Corvette Repair have won thousands of awards and been featured in hundreds of magazines and books. As interesting as the cars themselves are, the tales of perseverance, grit, and cunning behind them are even more incredible. For the first time ever, Kevin Mackay tells the true stories of how some of the greatest Corvettes of all time were found and brought back to life. After more than 30 years in the Corvette business, his passion for America’s Sports Car has never waned, earning him the title of The Corvette Hunter.